The OSU Research Forests, OSU Extension Service, and Benton County Health Department are hosting the sixth annual Get Outdoors Day event at Peavy Arboretum north of Corvallis. 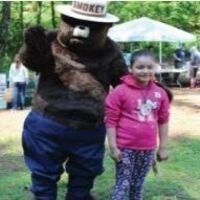 This free public event will take place on Saturday, June 2, 2018 from 10:00 a.m. to 3:00 p.m. as part of National Get Outdoors Day, an annual event encouraging healthy, active outdoor fun. Participating partners will offer a variety of activities designed to engage visitors and connect youth with the outdoors. Bilingual (Spanish and English) community volunteers will be on-site. Bus transportation will be provided.